A sequel to last season’s Kinda, Snakedance sees the TARDIS arrive on the planet Manussa as it gears up to celebrate the anniversary of their defeat of the Mara centuries ago. This is rather bad timing because it seems there is still a part of the Mara lodged in Tegan’s subconscious and it is slowly taking her over. I quite liked Snakedance. It is a really good story that does a lot right. My only real complaints are to do with the pacing and the fact that once Tegan gets taken over by the Mara she isn’t given much to do since she sends Lon out to do her bidding. There are two main reasons I think this stands out above the other 5th Doctor adventures. The first is the supporting characters. They all have really good actors and are fleshed out rather well. It is easy to see why Lon is frustrated being the Federator’s son and why he has the attitude that he does. He is basically waiting for his father to die so he can become the ruler. His mother Tahna understands this but tries to break her son out of his ennui. Still, she has a backbone herself and isn’t afraid to countermand her son’s orders. Ambril is the keeper of Mara lore and somewhat stuffy. He tends to view himself as more important than he really is. I love his sarcastic line when the Doctor tells him that he must cancel the festival. He basically humors the Doctor and then asks his assistant to show the Doctor out. Chela is his long suffering assistant who believes in the tales of the Mara and aids the Doctor and Nyssa to stop the evil creature before it is too late. The second reason is that these episodes do a good job of building up Manussan culture. It is a lot of little things that add up, like the people who dress up as demons and tap you for money. If you don’t pay you get a bucket of water dropped on your head. Things like that plus the set design make this feel like an actual world and culture with its own history. I had thought this would be a big story for Tegan but as I noted above she is sidelines rather quickly. The story starts off great for her character, giving us a few tidbits of what her life was like when she was younger and seeing her being truly afraid of the Mara taking over again. Instead this story, like Arc of Infinity, is a good showcase for Nyssa and proves that she could be a great single companion for the Doctor. She has good banter with the Doctor here and helps keep him on track. Chela made for a nice temporary companion. I thought he had good chemistry with the Doctor and Nyssa. He was willing to risk his life to free them from the cell and help them stop the Mara. The way the Mara is defeated feels really appropriate with this incarnation of the Doctor, who seems much more innocent and more willing to let events play out. There isn’t any slam bang action here. Instead the Doctor defeats the Mara by seeking the peace within himself. It does just end after that though. There is no real resolution to speak of. I was hoping for some sort of wrap up, especially since it was a strong set of supporting characters. From what I understand the DVD does include the scenes that were cut from the final episode so it might be worth getting the DVD to check those scenes out. Oh, the Mara snake puppet looks better here than the original. Not much better, mind, but it isn’t as laughable. A strong second entry into the 20th season and Davison’s second has given me hope for the rest of the season, especially since the next story sees the introduction of Turlough and starts the Black Guardian Trilogy. I don't remember "Snakedance" very well, but I recall I didn't like it as much as "Kinda." Whereas I liked "Snakedance" much better than "Kinda." 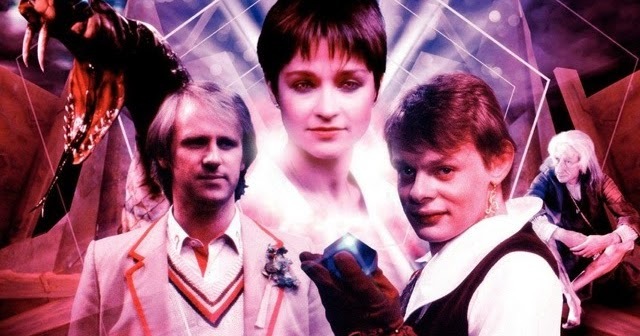 I do plan on revisiting "Kinda" though because I have noticed that a lot of DW fans seem to believe it is one of the better Davison era stories.